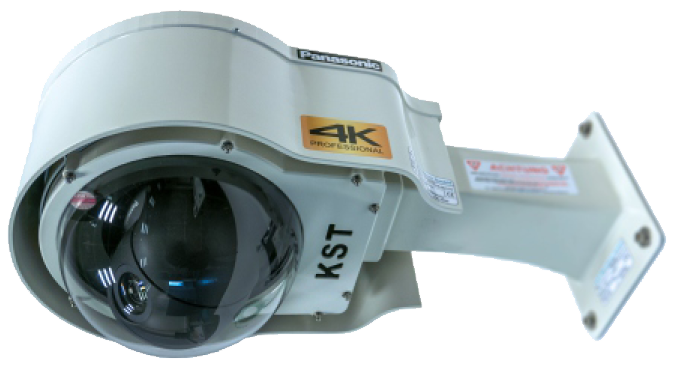 With a modular design, the KST-UE70/HE40 can be used for Panasonic AW-UE70 and AW-HE40 camera series (black models). The outdoor housing holds the camera, lens and pan/tilt mechanism clean and dry, and it is including heating and ventilation systems, supporting a temperature range from -20ºC to +40ºC. The wall mount is made of aluminum and serves as a basis for the special mounting adapters shown below. The connecting cables of the camera system are hidden and protected inside the arm brought to the mounting wall. 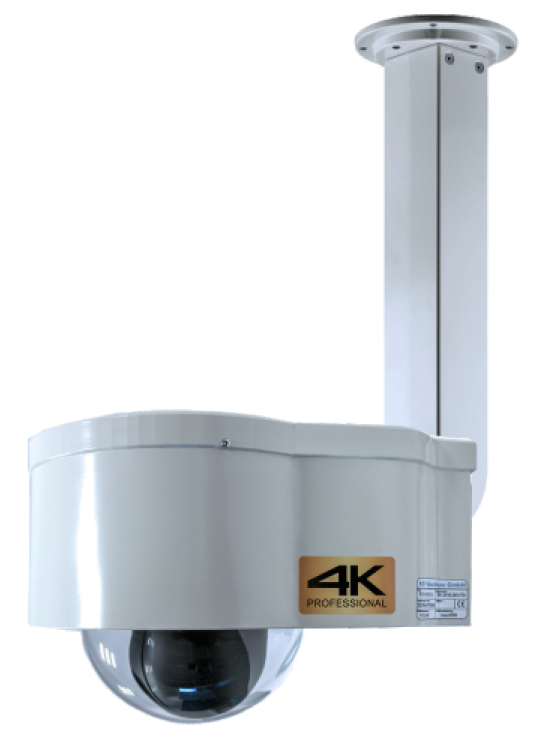 The pole mount adapter is combined with the wall bracket KST-DBH06. 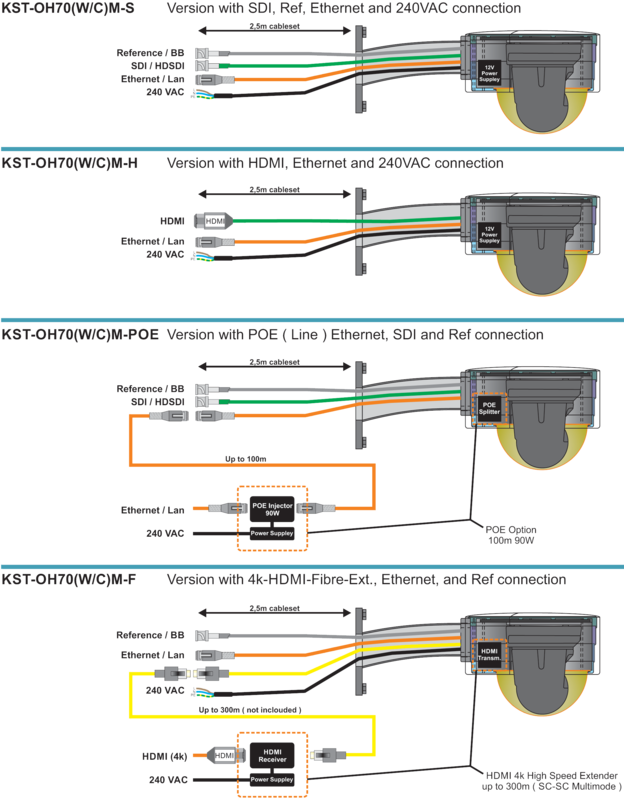 It allows theinstallation of the system to poles with diameters of 210mm to 225mm. The pole mount adapter is combined with the wall bracket KST-DBH06. It allows the installation of the system to poles with diameters of 80mm to150mm. 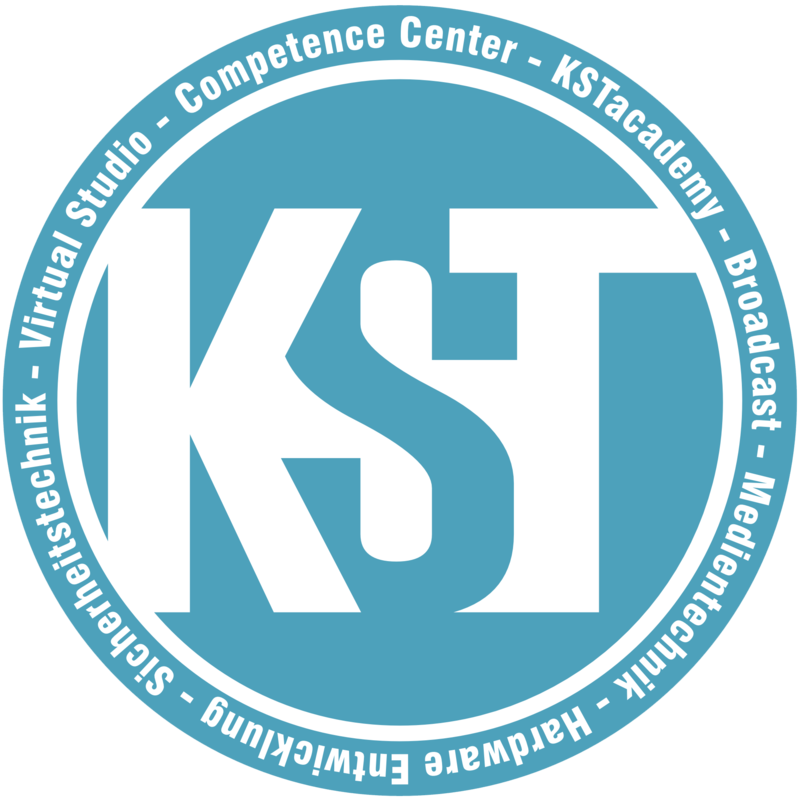 Two KST-DBH06 can be mounted opposite of each other. 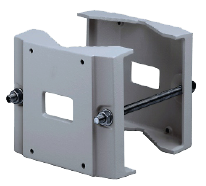 The corner mounting adapter is combined with the wall bracket KST-DBH06. It allows the installation of systems to be used in building corners.